Kyoung Jun Lee is a professor of School of Management in Kyung Hee University (http://www.khu.ac.kr). He is the founder & CEO of LoveisTouch Inc. (http://loveistouch.com) and Allwinware. He is also the founder and the director of BMER (Business Model Education and Research). He received B.S. (1990), M.S. (1992), and Ph.D.(1995) in Management Science from KAIST. In addition, he also has a master degree (2001) in Public Administration of Seoul National University, and finished the Ph.D. course (2003) from the same school. He worked as a visiting scientist in the Robotics Institute of Carnegie Mellon University, Pittsburgh, USA. from 1996 to 1997, Fulbright visiting professor of MIT(2010) and UC Berkeley(2011). He was an assistant professor of School of Business in Korea University from 1999 to 2001. From 2001 to 2003, he joined the Graduate School of Public Administration, Seoul National University as a visiting assistant professor. He won the IAAI (Innovative Applications of Artificial Intelligence) Awards twice in 1995 and 1997 from AAAI (Association for the Advancement of Artificial Intelligence). His research interests are in designing and analyzing business models for commerce, media, and sustainability. He has dozens of patents, approved or pending, and published papers in Decision Support Systems, Organizational Computing & Electronic Commerce, Electronic Markets, AI Magazine, Electronic Commerce: Research & Applications, European Journal on Operational Research, Expert Systems with Applications, and Connections etc. 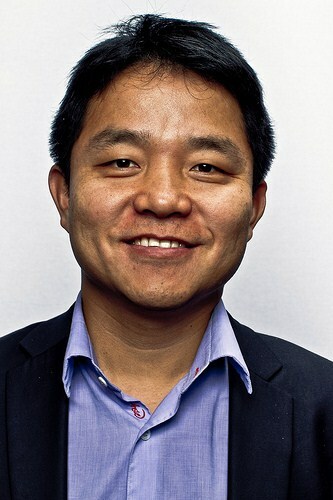 He has been involved in founding and advising Internet start-ups in Korea, such as OneQ.com(acquired by Naver), Mobilians.co.kr (the top phone-based Internet payment company in Korea), and FNBC (acquired by Galaxia Communications) etc. He is currently a non-executive director of YES24.com, which plays the role of Amazon.com in Korean online book store industry. He has been also closely working with incumbent companies such as LG Electronics, IBK Bank, SKT(SK Telecom), BC Card, Naver(The top Internet Company in Korea), Samsung, KT (Korea Telecom), and KTO (Korea Tourism Organization) etc. for developing new business models, business design methodology, and strategy. He is also an International Advisory Committee members of Contraco, the global consulting company and a vice Director of ICEC (International Center for Electronic Commerce, http://icec.net).